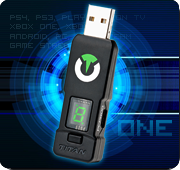 The early access to firmware 1.5 for ConsoleTuner registered users is here! Besides the PS4 support, the update 1.5 also brings a fully automatic console detection (PS4, XBox One, PS3, XBox 360), support for Hori PS4 Gamepad, X-Rover Receiver and few more features and fixes. Here is the link where you guys can download the firmware 1.5, don’t forget to copy-and-paste your device serial number on the download text field. Edit April 7, 2014 – EARLY ACCESS ENDED. Please update your device to firmware 1.55 using Gtuner software. 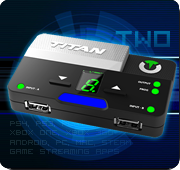 Titan One: compatible with Playstation 4! Upcoming firmware update 1.50 will add Playstation 4 support to ALL legacy devices. It is coming, stay tuned!